that makes the Circle whole. Thu 31st Jan - First day of school! 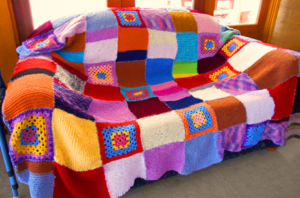 The Class 8 students urge all of our CSSK parents, friends and students to get behind our Blanket Raffle. Your support is going towards an incredibly important social justice issue – support for homeless youth. Every dollar we raise will go to “Frontyard”, a City Mission initiative that supports young homeless people under the age of 25. Every night on our streets more than four thousand young people have nowhere to sleep safely. Tickets are only $1 each (or six for $5) and are available at the front office. The raffle will be drawn at our Spring Fair on November 11. Please support our efforts! Lynn and the students of Class Eight. Thank-you to Lisa Devine for a fantastic event on Monday night. She shared great depth and insight into our questions about parenting towards adolescence, which was well received. It was a great turn out and we thank our Parents & Friends group for their beautiful catering once again. What a wonderful, generous and competent group of people the parents and friends of our school are. 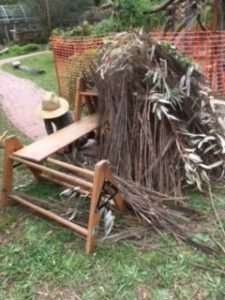 Over the last few weeks we’ve seen a whirlwind of activity as we get ready for the Fair. 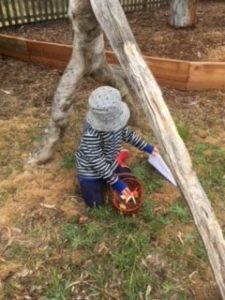 This is a lovely aspect of the Fair work – seeing so many moments of fun, joy, sharing and creative expression. Together we are making something meaningful – a day for our children but also building and strengthening the fabric of our community. This year, instead of a Silent Auction, we are having a bonanza of raffles. Tickets will come home next week for the first hampers. First prize is the Teenage Hamper – a fun and quirky collection of cool stuff with a value of approximately $450. 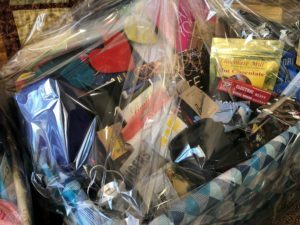 Second Prize is the Pamper Hamper – lots of loveliness to nurture and soothe (value approximately $350). Third Prize is the Providore Hamper with yummy treats and kitchen goodies to an approximate value of $250. Tickets are $2 each or $20 for book of 12 tickets. You might be in a position to sell raffle tickets in your workplace or to your extended family. Additional books will be available from the office if you’re really keen. In the lead up to the Fair, we’ll display the hampers in the office so you can have a closer look at these fabulous prizes. We will continue selling tickets to the big hampers at the Fair, with the winner drawn at the end of the day. Additionally on the day of the Fair, there will be a number of smaller self contained raffles, also for $2 a ticket. 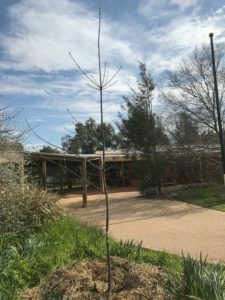 These raffles will include the class 2 parents’ Pollinators Raffle – containing plants, a nesting box and an impressive, beautifully crafted native bee hotel. Raffle tickets will be paid for with cash (rather than Spring Fair tickets), so if you’re hoping to win these great prizes, plan to bring along some gold coins. 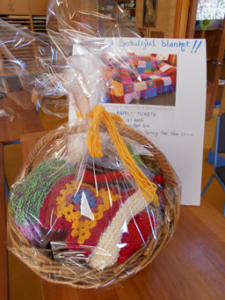 In all this raffle excitement, please don’t forget the hand knitted blanket being raffled by class 8 students to raise money for homeless youth. Tickets are available from the office now and the winner will also be drawn on the day of the Fair. Anything you’ve still got to do? There are still a few bakers needed for the tea & cake stall and some class activities still need a little finishing off. If you’ve got capacity, please contact me or your class carer. Next week we’ll have more information about setup and the program. In the meantime, if you’ve got a gazebo or sun umbrella you could lend us for the day, please let us know. 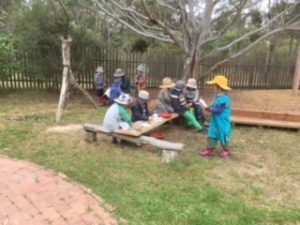 We had a fantastic response from our recent communications to families interested in Kinder 2020 places. We will keep communicating information and steps as we move into next years planning. Parents have recently been observed ignoring the STOP and ONE WAY signs in the carpark … putting themselves and others at risk. We ask that everyone take a minute to re-familiarise yourself with the school carpark rules (attached) and please slow down for everyone’s safety. 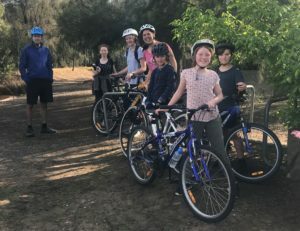 The Ride to School initiative is being supported by Penny Gilbert and Lucas Bester and children in class 5 and above are encouraged to join the group on Friday mornings to Nov 3rd – departing the Trestle bridge at 7.50am. All parents of all riders to school, please remind your children that they should dismount and take much care crossing Rilens road and enter the school via the “bush track” NOT the main car entrance. As we move into the warmer months of the year here is a copy of our procedures for Fire Danger risks to the school. The children have entered the room so smoothly both weeks. It is a credit to you all for taking a deep breath and trusting us with your precious little ones, Thank you! I was very pleased to hear that you were all congregating in the parent room. I am glad you could all take the opportunity to get to know your Ring a Rosie parent community and enjoy a cup of tea. Big thanks to Haley for coordinating this time in the parents area. I look forward to seeing you all this week. Welcome to week 3 of Kindergarten. 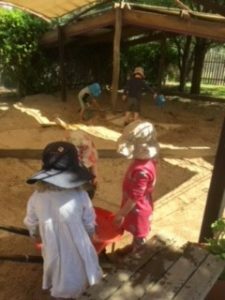 Please see the pictures below for an insight into a very exciting morning outside play session. 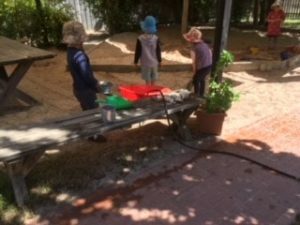 These pictures may look like random play being conducted outside, but they are actually an amazing session of collaborative imaginative outside play being conducted by all but one of the children (who was happy playing in another part of the yard). 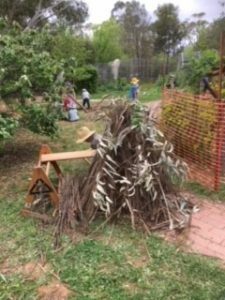 Almost all the kindergarten children got involved in building an airport, complete with a mechanics shop, an air traffic controller or two perched high in the tree, signpost on the tarmac, and ground traffic controllers. There were also co- pilots. Each plane had a designated flight time to depart- i.e. “your the 730 flight, your the 8.00 flight” and were lined up ready to depart. In an effort to reduce the amount of paper planes that were being made in kinder we decided to keep the planes at kinder in a specially build airport hanger! Each plane is decorated with its own unique identifying number. 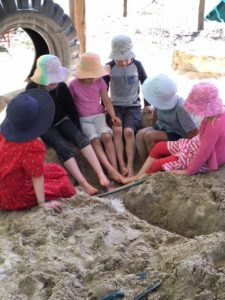 This was an amazing play session that highlights the children’s maturing skills in communication, collaboration, negotiation, goal setting, construction, different role playing and so much more. It was an absolute delight for Fiona and Amie and I to sit back and be a fly on the wall watching the children play. Next Wednesday 31st October, parents are invited to join us in Prep at 10.50am. 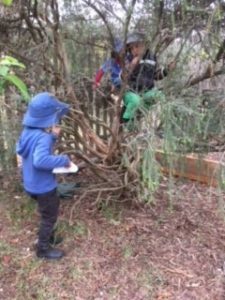 We will have morning tea in the garden and then work together with the children to give our garden a ‘Spring tidy’. Please bring tools that might be useful, garden fork, rake, secateurs. Christine will bake muffins for morning tea. Please send apples and oranges that day as they will be easier to serve outside. Please RSVP to Bron or Ada for catering. 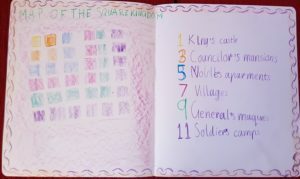 Class Two have been visiting the Square Kingdom this term. The King was in such a terrible fluster because everything had become “higglety-pigglety” and he needed things to be put in order. 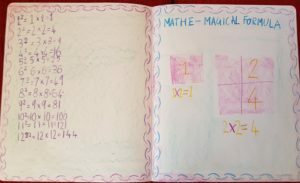 With the help of the Math-e-magicians, we were able to come up with a math-e-magical formula to set things straight. 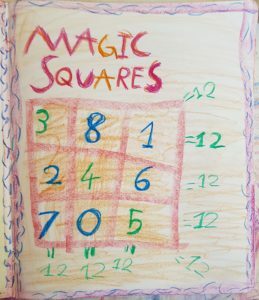 The King shared a game he liked to play, which was working out the missing numbers in the squares. With a bit of help from Class Three, we’ve begun practising for the maypole dance at the Spring Fair. Marie’s Wedding is such a joyful and catchy song that we find ourselves singing it throughout the day. Class 2 are looking forward to seeing you at the maypole for the opening of the fair. 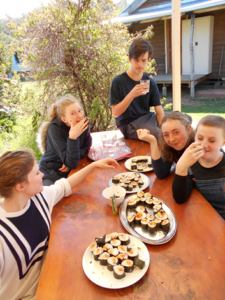 Week One this term saw students enjoying their rafting camp on Lake Eppalock – once again thanks to Lisa and the Latrobe Outdoor Ed students who made it all possible. 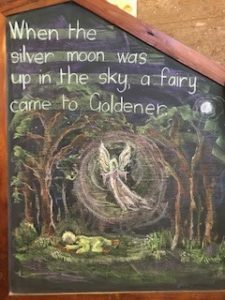 We now have a busy and exciting term ahead of us as we continue our rehearsals for A Midsummer Night’s Dream and settle into the remaining Main Lessons of the year. A special thanks to Rob Jorritsma for ‘guest starring’ as our maths expert over the next few weeks and introducing students to the mysteries of Platonic Solids! French students have settled into the term quickly and are working hard to bring some long term projects to completion. In Class Seven students are polishing their French Cafe performances after an enjoyable cooking session creating French crepes for the whole class, while Class Eight students are bringing their French vocabulary and artistic skills together to create some traditional jeux de l’oie, or board games, to play with their buddies. And Class Six students have created some lovely posters about the book we recently finished, Le Petit Prince, along with some interesting fact sheets about the Eiffel Tower. Thanks to the Ford family (Honey & Paxton) for the magnificent oak for our heartlands and to some class 7s who dug the mighty hole! It is always lovely to hear that any past student of CSSK has achieved a longed-for success and many members of our school community will be delighted to learn that Ella Saabel, who was one of our Class 8 alumni of 2017, has gained a place in the prestigious Flying Fruit Fly Circus in Albury-Wodonga. 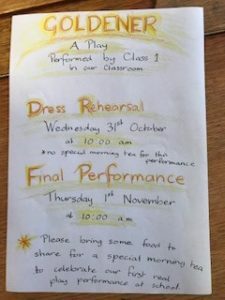 These are much sought after places for anyone with circus skills and for those who saw Ella’s impressive performance at her Major Project presentation last year, we know it has been a hard won and very well deserved accolade. We wish Ella the very best of luck in her future performing career! The choir is for children in grade 3 and above (interested high school age young people welcome). The choir sings contemporary music and develops pitch and rhythm skills. The choir performs occasionally at community events. 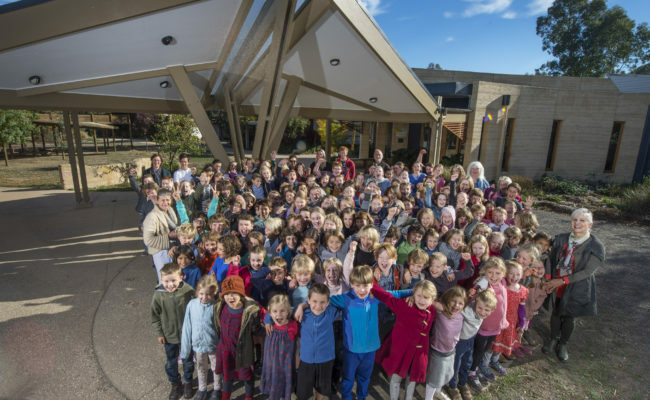 The choir is supported by Castlemaine Community House. Runs each Saturday until December 15th. Will not run on 3rd November (long weekend) or Saturday 1st December. Family seeks "Big Heart" for help at home. Are you patient, understanding and someone that has a lot of experience with kids? Are you looking for some casual work? We are two very committed parents using alternative treatments and behavioural therapy to fully recover our daughter from autism. It seems to be working so far, but we need help! 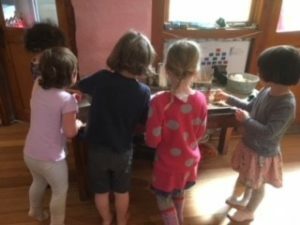 We are seeking a motivated person with a BIG HEART to welcome into our home for a couple of hours each weekday to do some basic therapy with our daughter. We will teach you simple strategies to help our daughter. No therapy experience necessary! Please call Luke (Dad) if you’re interested on 0418 100 972. It is strung as a student viola but it is actually a full sized violin, with violin bow. Advantage of being a slightly smaller instrument and so easier to handle for a child. It was purchased through the CSSK music department some years ago. Includes shoulder rest and case. Good condition. Can be made available at school for viewing.